25 years since Poland's first partly free elections, CNN's On the Road series visits the country looking at how it has been transformed since the fall of communism while taking a deeper look at its customs and culture. Watch reports on CNN TV from June 2. (CNN) -- Popular literature would have it that the vampire's preferred habitat is Transylvania (or, if you're under 15, the slightly less glamorous Forks, Washington). 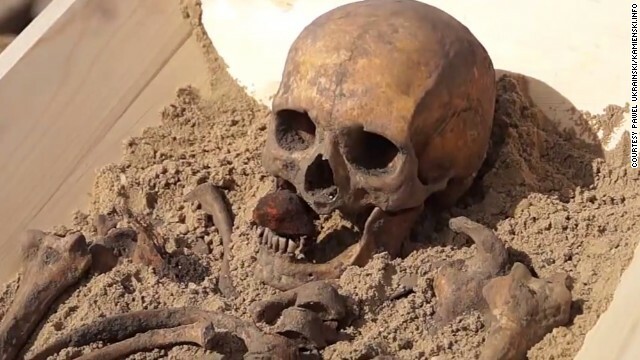 But modern day vampire hunters might better focus their attention on a little-known area of northwestern Poland, where earlier this month a suspected vampire grave was exhumed. 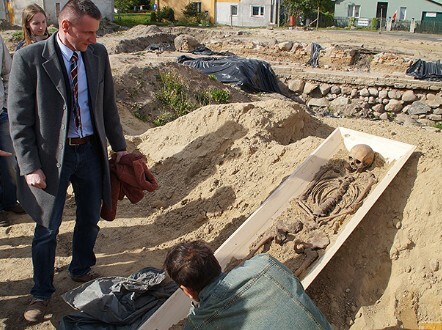 Slawomir Gorka, who led the dig at a marketplace in the small West Pomeranian town of Kamien Pomorski, told local website kamienskie.info that several unusual aspects of the burial "indicate that it is a vampire burial". Teeth had been removed, a fragment of rock was inserted in the mouth, and a leg had been staked (presumably to prevent the body rising from the grave). And this isn't the first time an interment in Poland has been deemed vampiric. Last July, archaeologists uncovered four decapitated skeletons, their heads placed between their legs, at a construction site in Gliwice, southern Poland. Both the Gliwice and Kamien Pomorski graves are estimated to date back to the 16th century. The burials may sound gruesome, but they are befitting of early medieval Polish folklore's particularly grisly interpretation of the vampire myth. The stone in the mouth might be to make a supernatural barrier between the worlds of the dead and the living. "Specific to Polish vampires is that they are known for eating their own flesh and burial garments when they rise from the dead," says Titus Hjelm, who convenes a course on vampires for the School of Slavonic and Eastern European Studies at University College London. 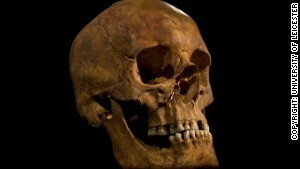 He adds that this may explain the stone placed in the mouth of the skeleton. Fear of vampires was strong among Eastern Europeans in the medieval period. Professor Martyn Rady, a colleague of Hjelm's, posits the folk tales spread from Serbia to surrounding countries following a report sent by Austrian military authorities to their superiors in Vienna. It told of a mercenary soldier who had been turned into a vampire and infected his victims, who when exhumed from their own graves were found to have fresh blood in their cavities. The report was intercepted before reaching the Austrian capital and published in newspapers. The Polish had particular reason to fear vampires rising from their graves, Hjelm explains. "According to some sources, Poles thought that vampires were born, rather than 'made'," he says. "They were normal people who could live normal lives, not aristocrats living in distant castles. The problems only started when these people died. They could come back to live with their families and even impregnate their wives." A myth that will not die: Archaeologists examine the skeleton in Kamien Pomorski. This may account for the precautions taken during burial. Hjelm adds the notion of vampires being creatures of the night only appeared relatively recently in the 1922 film "Nosferatu". However, some experts warn against presuming all such unconventional burials were because of a fear of vampires. Kamil Kajkowski, an archaeologist with the West-Cassubian Museum in Bytów, northern Poland, admits a number of strange medieval mortuary practices have been discovered during digs in Poland, the most common being those where the body is in the prone position, decapitated, or covered with stones. But the idea is these burials may just as well represent punishment for criminals rather than suspected vampires. Specific to Polish vampires is that they are known for eating their own flesh and burial garments when they rise from the dead. That said, Kajkowski concedes the most recent discovery "is certainly unusual". "The pierced thigh-bone and a stone inside the mouth clearly indicate that a range of atypical practices with ritual undertones were performed," he says. "(The stone) might reflect the desire to create some kind of supernatural 'barrier' between the dead and the world of the living." Such peculiar last rites are not confined to medieval Poland. Kajkowski says the last recorded instance of this kind of deviant burial was in 1913. As with the skeletons found in Gliwice last year, the head had been cut off and placed by the legs. "Perhaps such a placement of the head ensured the dead would not be able to 'reach it' and put it back on his neck," he suggests. Vampiric or not, the strange range of historical graves in Poland indicate the country held deep beliefs around the ritualistic burial of certain citizens. Leszek Gardela, from the Institute of Archaeology at the University of Rzeszów, is currently working on a research project into the phenomenon. "Unusual mortuary practices have fascinated Polish scholars since the 1950s (when the first were discovered)," she says. "But so far they remain unknown to a wider international audience. It is high time to change this." The former president of Poland prefers to look to the future than dwell on his place in history. Warsaw's architecture tells the story of Poland's communist past. CNN's Paula Newton reports. One football match in 1983 helped put Poland on the path to democracy. Poland is home to one of only five natural deserts in Europe. 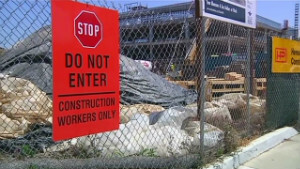 CNN's Paula Newton meets those trying to preserve it. Pope John Paul II called Wadowice, the small Polish town in which he was born, "the place where it all began." CNN's Paula Newton on the "pope effect" and how the country has dealt with huge changes. A 'vampire' burial has unearthed a long history of myth making in Poland. Polish cities, attitudes and styles: they've all developed their own distinct identities. But can the same now be achieved with Polish cuisine? CNN's Paula Newton travels to Warsaw to visit the Museum of the History of Polish Jews. Paula Newton explores the Chapel of St. Kinga, which three Polish miners took 67 years to carve from salt. In this creative age of camera phones and photo apps, what better way to learn about a city from afar than through the lenses of its eagle-eyed street photographers? For Poland's National Ballet, the present no longer means reveling in the fleet-footed legends of past stage glories. Poland has become the land of the giants with a recent spate of colossal street art. Polish authors might be little known outside the country, but there are reasons why you should discover them. From vast salt mines to gothic castles, Poland has some surprising and spectacular heritage. Herds of Europe's largest land mammal are doing well in the country's forests, maybe too well.